You’ve been waiting about seven weeks … or in another sense, 11 years. You can wait a little while longer, right? It was in late April when the Buffalo Sabres won the NHL Lottery, giving them the first choice in the Entry Draft. That choice comes tonight, when the Sabres almost certainly will take Rasmus Dahlin of Sweden. That pick will start another countdown until October 4, when Buffalo starts the 2018-19 season with a game against Boston and Dahlin plays a game that matters wearing blue and gold. The draft will be shown on the NBC Sports Network, starting at 7 p.m. from Dallas. 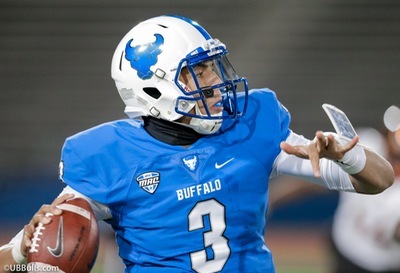 All the fun happens at the start from a Buffalo standpoint. Commissioner Gary Bettman gets booed when he’s introduced, and the Sabres take someone first. Since only the first round will take place on Friday night, Buffalo hockey fans will have to wait until Saturday to see someone else get picked by the Sabres. They do have the first pick in the second round, giving them plenty of time to think about it. It’s been almost 11 years to the day when the Sabres’ fortunes seem to turn. That’s when Chris Drury and Daniel Briere received contract offers to go elsewhere as free agents, breaking up a team that was oh-so-close to a Stanley Cup level. It was followed by a huge offer to restricted free agent Thomas Vanek, which the Sabres at that point had to match no matter what it did to the team’s salary structure. And how much good news has there been around the team since then? Sure, it was nice that Terry Pegula bought the team in 2011 and has become a fixture around town. But the franchise was already stable, thanks to Tom Golisano. Yes, it was also nice that Jack Eichel landed in Buffalo in 2015. But that came with an asterisk, as the Sabres lost that draft lottery to Edmonton. The Oilers took Connor McDavid with the first pick, and he’s quickly emerged as a major star even if he hasn’t done much lately for Edmonton’s fortunes. Come to think of it, the Sabres lost out to the Maple Leafs when going after Mike Babcock, and Toronto’s fortunes have been headed up ever since. It’s easy to get excited about this bit of good news; I don’t want to be a party-pooper about this pick. I would urge a little patience. Forwards are usually the ones that can make something of an impact if they show up on an NHL roster at the age of 18. That’s because they can score – not at the same rate as they will in a few years, but they’ll still make a contribution. A defenseman traditionally has needed time to learn how to play the game. Dahlin has been compared to Erik Karlsson, another Swede who was a heralded prospected when he was picked 15th overall in 2008. Karlsson didn’t even play for the Senators in 2008-09, and had 26 points in 60 games a year later as a rookie. But by his third year, Karlsson had 78 points and won the Norris Trophy as the league’s best defenseman. 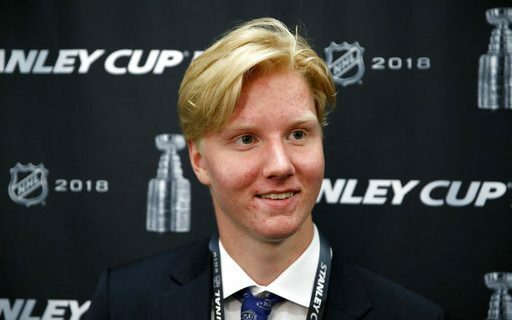 Dahlin won’t have the luxury of improving his skills for a year before arriving in the NHL. The Sabres need him to generate enthusiasm for a franchise that was not only bad but boring last season. He’ll have to be thrown in the deep end, and learn to swim the hard way. It’s tough to speculate how he’ll fit in to the defensive scheme, simply because the Sabres’ defense is so unsettled. The hope is that eventually Dahlin will eat up some minutes, taking some of the load away from players like Rasmus Ristolainen and Marco Scandella. That, in turn, should make those players better because they won’t be asked to do as much. Brendan Guhle is in the picture somewhere, and Jake McCabe and Zach Bogosian are around as well. But otherwise, there are jobs available that could be filled with free agents, trade acquisitions, or Rochester veterans. The Sabres obviously think Dahlin can be the type of offensive defenseman that every team can use. They’ve got the right guy to coach him in Phil Housley, a Hall of Famer who was a good enough skater to play a little center as a Sabre – and when was the last time that happened since then? The hope, naturally, is that Dahlin won’t take much time to become an elite defenseman. What’s more, he has every chance to become the Sabres’ best all-time player at that position. Mike Ramsey probably has earned that description for now, even though such players usually have to contribute offensively at a reasonably high level before gaining such status. Ramsey did it with defensive skill, smarts and heart. The first step by Dahlin toward that “honor” comes tonight. Then the Sabres will unwrap their Christmas gift on Wednesday for the start of development camp downtown.